Trends include crafted aesthetics, with natural tones and hues, as well as textures inspired by nature: wood, eggshells, tortoises and digital life, with bright, bold colours and styles, with experimental materials and effects. Nudes, retro, transparency, military, bling, mirror effect, blues and greens and flexible frames also feature quite heavily. 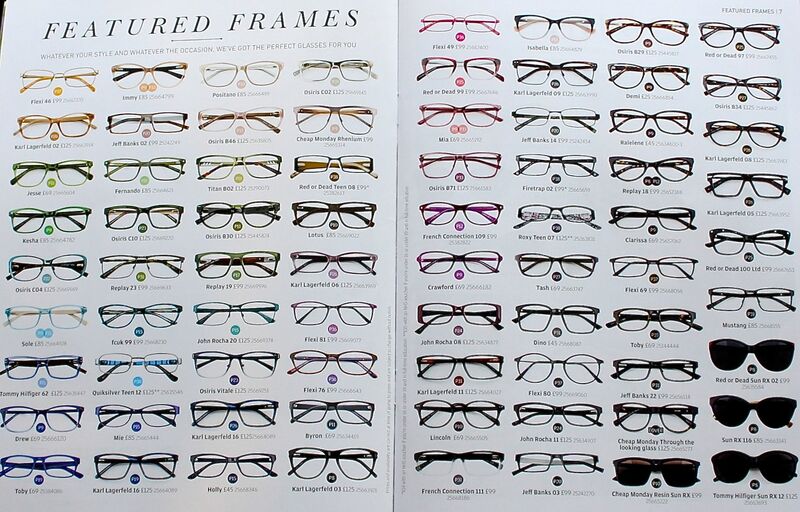 Needless to say, Specsavers has a huge range of glasses to suit all tastes, styles and especially pockets. Me, loving the frames waaay too much. Karl doesn’t look that impressed. The big launch is a brand new Karl Lagerfeld line exclusively for Specsavers. The designs are amazing, so wearable but with a high fashion edge; Karl’s “live for now” motto is incorporated across the 24-eyewear designs. The detail and finish are superb; from the kink on the glasses arms making a little K to the colour play, all screams fashion. The range is made of classics oozing urban glamour. The great news is that they won’t break the bank. I have at least three designs I wanted to take home immediately! Another highlight was Osiris – I am already a fan, and I love my Osiris glasses – which now has a couture touch: renowned designer Jørgen Simonsen, who’s got jobs with Versace, Valentino, Givenchy and Chanel under his belt and is the creative mind behind THAT green Versace dress Jennifer Lopez wore for the 2001 Grammys. Simonsen creates a line of daring, vibrant and cosmopolitan designs, playing with bold colours and textures inspired by nature. I had a brief chat with him and he told me that they have stripped back on the designs, as for him, “oversized frames are a bit dead”, so the glasses have skinnier fronts and are more tactile. It was great to see the mood boards for the collection and make up how they translated into the designs. The collection also counts with limited edition pairs: theVitalle and the Rosetta, made with high-tech materials, which take inspiration from futuristic fulleye glass visors. The lenses are one piece and there are no frames. The glasses are extremely flexible, light and super wearable. The colour gradient is gorgeous and soft on the face. It was also great to hear Jørgen so lovingly talk about the inspiration and creating these glasses. With 10 new frames in autumnal bold colours and prints, John Rocha’s collection is “in line with current trends but also allows wearers to reflect their personal style”. My eye, very up close and personal! Of course, the showcase also counted with other celebrated brands which have collections for Specsavers like FCUK, Red or Dead, Quicksilver, Roxy, Firetrap, Replay, Cheap Monday, Tommy Hilfilger, Gok Wan and many, many more. I only started seeing my glasses as part of my outfit in the last 3 years and it really changed the way I see them – it actually made me love them (Specsavers really fuelled this love, to be honest), which is a very important thing as they are with me everyday! So Specsaver, #LoveGlasses for me is, just like for you, way more than a hashtag! You can browse the beautiful collection at the Specsavers website and as if you needed any more incentives, remember: the amazing frames are 2-for-1 from £69 and the price seen includes simple lenses.